The city of Omak has fewer than 5,000 residents, but it is the largest in Okanogan County. It is located in an area of northern, central Washington known as the Okanogan Highlands. It is the commercial center of the region, especially in the manufacturing and retail industries, but it is also quite agricultural and a rural place in which to live. 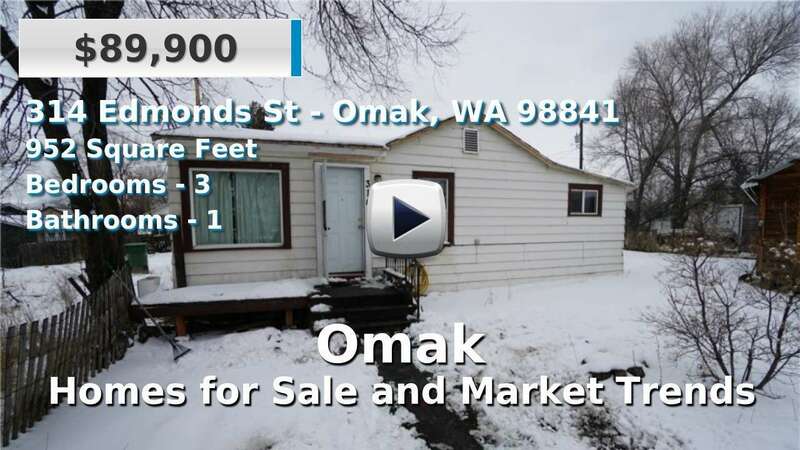 Homes for sale in Omak tend to be a bit older than the state average, yet many have acreage or even waterfront settings. The city lies in the "Heart of the Okanogan Region" and is well known for its many Wild West inspired rodeos and festivals, the most popular of which is the Omak Stampede and Suicide Race. During the race, horses must run down a hill and cross the Okanogan River at top speeds. This area is also known for its abundance of recreational activities, from hiking, camping, and fishing, to snowmobiling, skiing, and wildlife watching. 3 Beds | 2.75 Baths | 3872 sq. Ft.
4 Beds | 2 Baths | 1602 sq. Ft.
3 Beds | 1.75 Baths | 1424 sq. Ft.
5 Beds | 3 Baths | 4576 sq. Ft.
5 Beds | 2 Baths | 2928 sq. Ft.
2 Beds | 1 Baths | 1476 sq. Ft.
4 Beds | 1.75 Baths | 2792 sq. Ft.